i’ve got a wild hair, i’m manic, i’ve got my hands on lots of things. it must mean that company is on her way and it’s almost time for vacation. i’m heavy into all things sesame street right now, and tinkering in a few things unrelated. 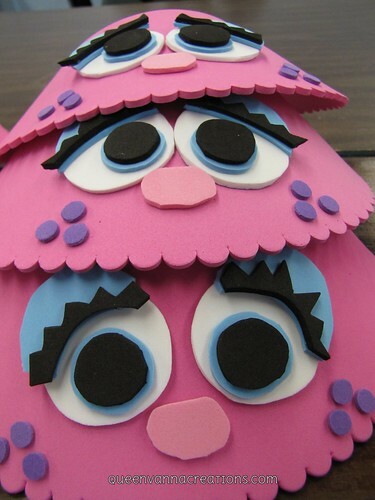 the sesame street visors, are TOO cute. and dipping balloons… this idea came straight from bakerella , where most of my ideas begin. hers had homemade pudding in them, but i cannot STAND pudding, so i’m gonna fill ours with dirtcake… also because there is NO shortage of oreos in this house right now. This entry was posted on June 8, 2010 at 2:57 pm and is filed under foooooood, she's so crafty. You can subscribe via RSS 2.0 feed to this post's comments. wow! you better not be wore out when i get there! You really go all out! Have fun on vacation. I am freaking out about your Sesame Street ideas since I am planning an Elmo party right now!! Can’t wait to see more. how did u make the elmo oreos? very easy – open oreo, put in stick, close oreo. dip in chocoalte, add candy eyeballs. ta-da!! 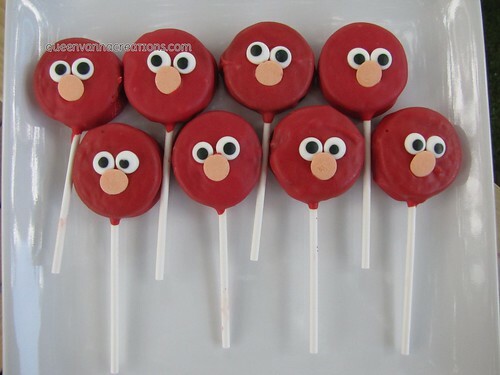 what did you use for the eyes and nose on your elmo pops? candy eyeballs and giant sprinkles. available at most craft stores.